Suspicious Activity Reports (SARs) are reports that are required to be filed with FINCEN (the Financial Crimes Enforcement Network) by various businesses when they observe suspicious activities. The purpose of the SAR is to identify illegal activity including tax fraud, money laundering, terrorist financing and other financial fraud. Some clients with offshore bank accounts want to know if they can repatriate their funds to the U.S. without taking any affirmative steps such as a voluntary disclosure on the theory that if they don't file a voluntary disclosure, the IRS is unlikely to know about them. However, as explained below, a large inbound transfer from an offshore bank is likely to generate an SAR. In a recent internal memo dated March 15, 2012, the IRS pointed out to its agents in the Small Business Self-Employed Division (SBSE) that SARs could be helpful in tax fraud examinations, as well as in locating taxpayer assets. According to the memo, no SAR information including the existence of the SAR can be disclosed to the subject of the SAR. Any transaction conducted through the financial institution and involving $5,000 or more, if the financial institution knows, suspects, or has reason to suspect that the transaction is designed to evade any regulations promulgated under the Bank Secrecy Act (for example, the Foreign Bank Account Report [FBAR]) filing rules; or the transaction is not the sort in which the particular customer would normally be expected to engage and the financial institution knows of no reasonable explanation for the transaction after examining the available facts, including the background and possible purpose of the transaction. FinCEN's website lists a number of instances of SAR filings that have led to identifying major and not so major frauds. For example, in one situation a bank noticed that one of their depositors, a chiropractor, made two cash deposits of $9,000 on successive days. The bank then reviewed the doctor's deposits over a two-month period and discovered a number of additional deposits in cash ranging from $8,300 to $9,500. These deposits totaled over $100,000. On that basis, the bank filed an SAR with FinCEN. A local SAR review team pulled the SAR out of a stack of many others and interviewed the chiropractor who made damaging admissions. It was ultimately discovered that the chiropractor hadn't filed tax returns for several years until shortly after being interviewed and may have also committed medical fraud. 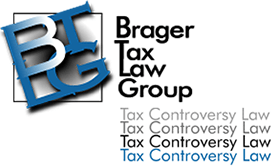 The firm's practice is limited to representing clients having criminal and civil disputes with the IRS, the Franchise Tax Board, the State Board of Equalization, and the Employment Development Department. Taxpayers who are the subject of SARs will be unaware they have been filed since 31 U.S.C.5318(g)(2) requires that a financial institution and its directors, officers, employees, and agents who file a Suspicious Activity Report may not notify any person involved in the transaction that the transaction has been reported. Federal law provides complete protection for the financial institution and their directors, officers, employees, and agents from civil lawsuits as a result of the filing of the SARs or the institutions' failure to notify any person regarding the filing of the SAR. All of this suggests that it will be risky for a taxpayer who has not failed to file FBARs or who has failed to report income from offshore activities to simply wire transfer the proceeds int heir foreign accounts to a U.S. bank account. It is far better to make a voluntary disclosure or to participate in the IRS' OVDP or Streamlined Procedure before making the transfer. That way if a Suspicious Activity Report is filed, crosschecking by FinCEN will lead to the conclusion that the problem is already being handled. Furthermore, if your tax lawyers can give your financial institution a sufficient comfort level, then it is possible that a Suspicious Activity Report will not be filed at all.